With Tibet becoming more accessible to travel than ever before, travelers from USA are flocking to Tibet in record numbers. Tibet Travel Expert (www.tibetctrip.com) is reach out to USA travelers by offering Tibet tours that help travelers to gain valuable knowledge and understanding of Tibet. A well-developed tourist infrastructure has made travel from USA to Tibet very easy. With popularity expected to continue climbing, Lhasa-based travel agency Tibet Travel Expert (www.tibetctrip.com) is reaching out to American travelers by offering tours that combined with Tibet’s stunning natural beauty, fascinating culture and history. Tibet Travel Expert takes care of Tibet travel permits, transportation within China including Tibet, guides, and hotels. With details like these taken care of, travelers can relax, enjoy the scenery. And walk away with valuable knowledge of Tibet. When planning a tour, travelers are encouraged to take time to learn about what Tibet has to offer. And then choose destinations based on what interests you the most. Culture and history-focused travelers will want to include destinations with many opportunities to visit monasteries and temples; Gyantse, Shigatse, and Yarlung Valley are popular options for learning about Tibetan culture and history. Outdoor enthusiasts can enjoy adventures such as Trek from Tingri to Everest Base Camp, Mt. Kailash Pilgrimage, or Biking Trip from Lhasa to Kathmandu, etc. Those seeking a blend of the two will likely enjoy an overland tour. Because it combines visits to cultural and historical sites with plenty of opportunities to enjoy the scenery. With the ease and accessibility of traveling to Tibet nowadays, thousands of Americans are making the trip each year. Tibet Travel Expert offers a wide variety of tours and itineraries to accommodate a wide variety of travel interests and needs! Travelers will be able to relax when traveling with Tibet Travel Expert. You do not have to worry about details like hotels, transportation and Tibet travel permits. We provide for a getaway-from-it-all experience! 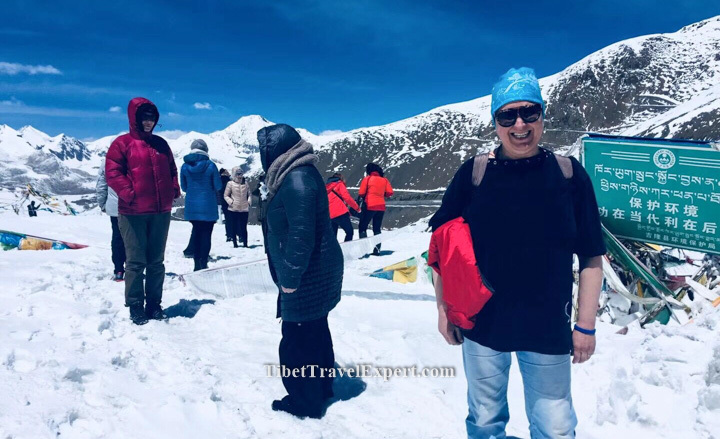 Whether embarking on a Tibet trekking tour, going on an overland excursion, or just enjoying some easy-paced sightseeing groups which one can learn valuable knowledge of Tibet. Now that the Tibet travel season is in full swing, we suggest travel groups to start planning their Tibet tour now!